If you are looking to explore some of the Malaysia local cultural backgrounds and want a quiet vacation, Kelantan is one of the perfect places to stay for a night or two. Being a state rich in local Malay culture, you will find plenty of unique Islamic architectures and buildings across the state. Museums visit is also a good thing to do in Kelantan as there are several museums that showcase the historical background of the country that you will not get to see elsewhere. There are not many accommodations in Kelantan and you will mostly find budget hotels and inns within the Kota Bharu town. 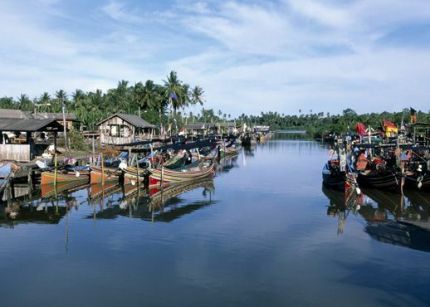 Kelantan is the perfect place for those looking for a vacation in a more secluded area. Most of the hotels here are located in Kota Bharu town, which is the capital city of Kelantan. The accommodations here mostly range from backpacker lodges to 3 stars hotels, perfect for both backpacker and family vacation on budget. For visitors who are looking for a more luxury retreat, there are also quite a number of 5 star hotels in Kota Bharu town. The perfect way to enjoy your vacation in Malaysia, a luxury hotel in Kelantan takes care of your every need, while you enjoy your vacation. With excellent personalized service, premium amenities and free airport pick up service, basically you do not need to lift your fingers to get things done. If you are looking for a golf vacation, the only golf club in Kelantan at the moment is the Kelantan Golf and Country Club (KGCC). This 18 holes golf course is surrounded by casuarina trees and numerous natural ponds that offer a unique golf experience for the avid golfers. The KGCC is located very near to the town center of Kota Bharu, accommodation will not be a problem for having a golf vacation in Kelantan.